The foundation of all financial success is saving money and making smart investments. 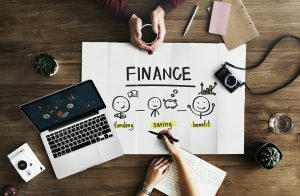 Unfortunately, not all of us have got a chance to learn all the money management tricks and very few people put enough effort into saving and investing. But what to do if you want to start doing so? We came up with 5 tips saving and investing tips that should help you get one step closer to achieving financial success. There’s no need to say that the key to saving is setting aside a portion of your paycheck at the end of each month. However, many people fail to do this which leaves their savings account completely empty. So, if you’ve decided to save and invest, you might want to make a habit out of saving a part of your monthly income. The best way to do so is to set up an automatic transfer to your savings account. This way, you won’t have to think about it and you’ll manage to scrape away some money after receiving each paycheck. You can either opt for a percentage of your paycheck or choose a random amount of money you’ll set aside each month. Having money in your savings account sure is great but all of that money can disappear just like that in case of an emergency. In order to make sure these don’t drain your savings account, you can also think about stashing another portion of your money. That way, you’ll be able to deal with almost any kind of emergency you face without having to take money from your savings account. The biggest problem with emergencies like road accidents and diseases is that you have no control over them and you always have to be prepared. Luckily, with a separate emergency account, you should be able to deal with the issue without dipping into your original savings account. Saving money isn’t all about stashing money, trying to spend less is another thing you simply have to if you want to achieve financial success. Therefore, if you think you spend too much on things you don’t really need, it might be the right time to make some slight changes in your shopping habits. First of all, you can think about ditching credit cards and sticking to cash. That way, you’ll be more aware of how much money you’re working with and ultimately, you’ll be spending less. Besides this, you can make a list of things you buy each month and take a closer look at it before you buy that new expensive piece of clothing or video game. Earlier, we’ve talked about starting a savings account. While these can truly help you save money, it’s an even better idea to invest all the money you’ve managed to scrape away. In fact, that way, you’ll be able to make even more money which is exactly what you’re aiming at. However, one question remains – what to invest in? Real estate requires too much money to get started but things like gold are a far better option. Gold has been here for ages and its value is only going to increase. That said, investing in gold bullions makes a lot of sense. Just make sure you find a good gold bullion dealer to turn to. Many people start investing in things like stocks only to find their value decrease. Still, this doesn’t mean you should say goodbye to your investment plan and start doing something else. Be consistent and eventually you should be able to see your investments pay off. Of course, this doesn’t mean you shouldn’t review your strategy from time to time. In fact, it’s recommended that you take a closer look at it every few years and make some slight adjustments. Just remember that the goal of your investment plan is to be an ongoing process, not something that ends up being stopped or restarted as soon as something goes wrong. Have these 5 tips in mind and you should be able to both save and invest money effectively. Just don’t forget to review your tactics every now and then and look for ways to make it even better. How to Start a Toilet Paper Manufacturing Company?